Little Tokyo-based Pacific Commerce Bank and Vibra Bank of San Diego announced Thursday that their proposed merger has been approved by the Federal Reserve Bank of San Francisco. Pacific Commerce has three branches in Los Angeles County and one in San Diego County, and Vibra has one, in Chula Vista. After the merger, the new institution will have assets of about $350 million, bank executives said. 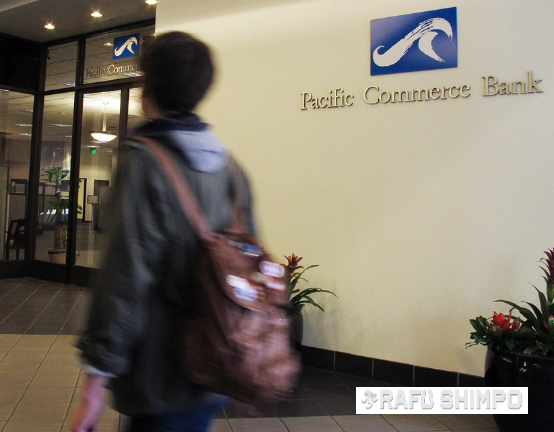 Iino said that Pacific Commerce will retain its name and remain headquartered in Little Tokyo. Established in 2002, Pacific Commerce Bank initially focused on Japanese American businesses, then started expanding its reach in 2006. The deal, announced in late October, is expected to close in the second quarter, pending approval from the state Department of Business Oversight and shareholders of both banks. A shareholder meeting will be held on Feb. 23. Pacific Commerce reportedly paid about 120 percent of Vibra’s book value. As of Dec. 31, Vibra had $140 million in assets, $125.2 million in deposits and $89.1 million in loans.